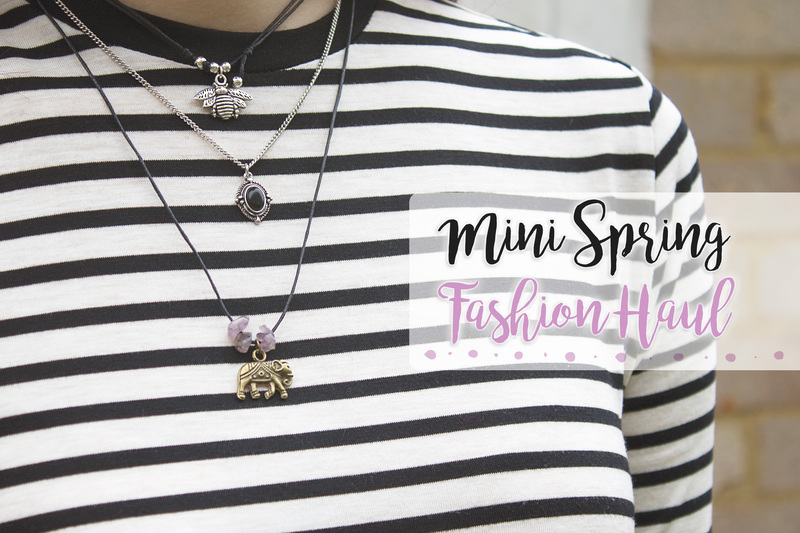 It’s been a while since we’ve posted any form of fashion post and even longer since we’ve posted a fashion haul. 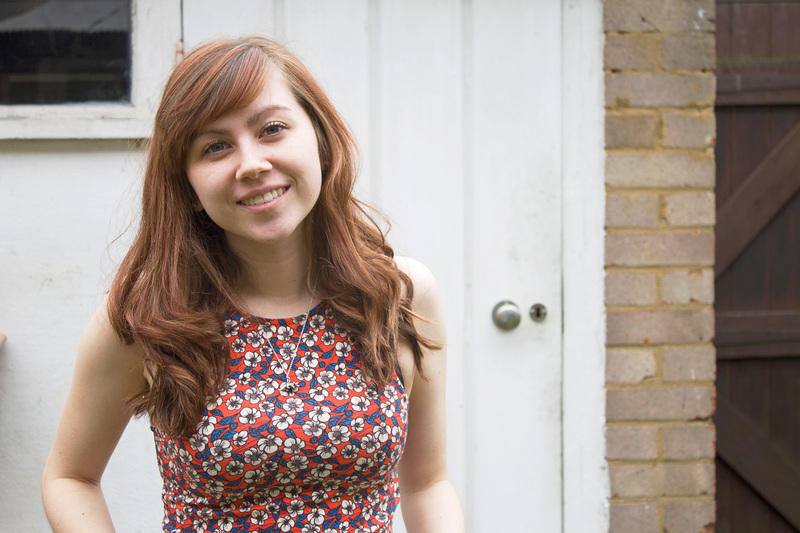 So as you can imagine we’re pretty excited to be putting this post up! It’s officially Spring and what better way to celebrate than to buy new clothes?! 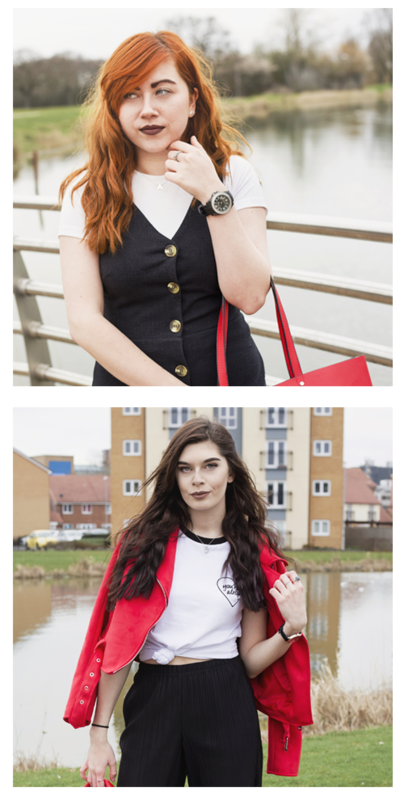 We thought we’d show you a few items we’ve bought in the recent months as we can’t wait to style these! 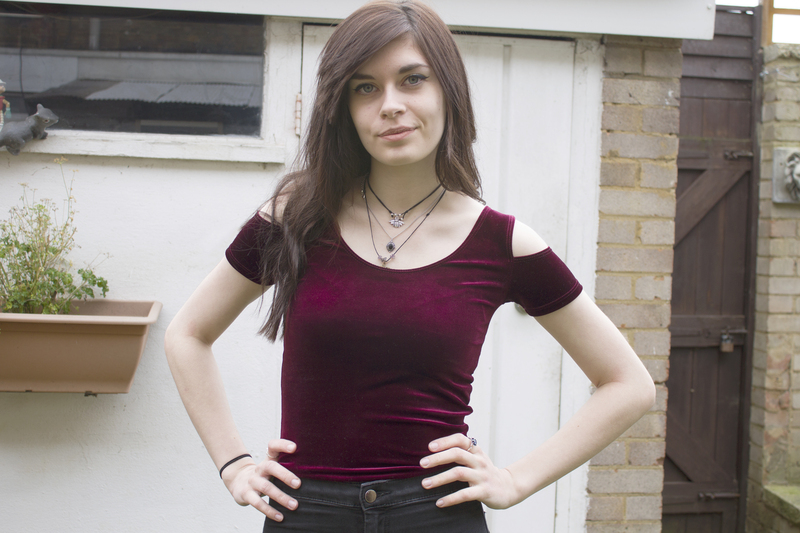 I have to admit at first when I picked this top up I wasn’t 100% sure if it’d get any wear. It isn’t too obvious in the photos but it is in fact a bralette (yeah it was freezing outside so a jacket was a must for this photo!) an item of clothing I never find myself wearing but for £6 it was an absolute steal. I also love Elephants so it obviously had to come home with me! Another item I couldn’t resist from Forever 21 was this white denim skirt. 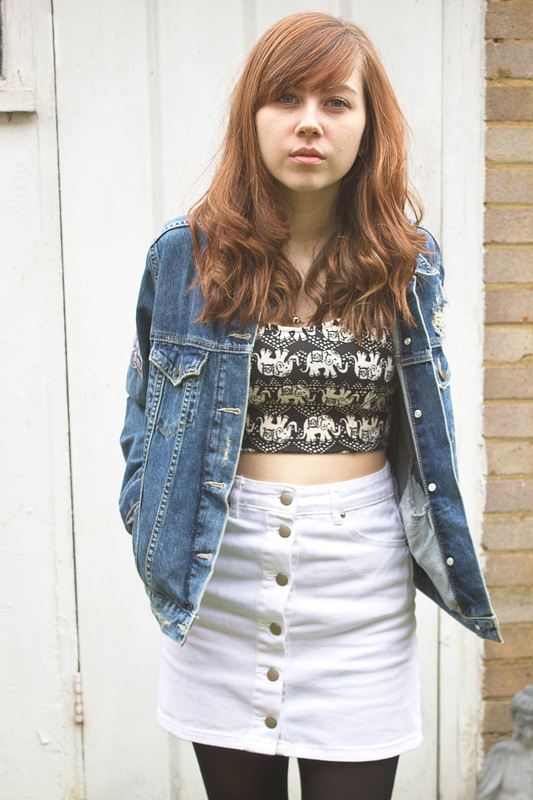 A white denim skirt for £13?!?!?! That’s crazy huh?! I’ve been wanting another denim skirt for a while now and there’s something different about white. I feel like it basically says spring/summer! I can’t wait to wear this out over the next few months. Anyone would think I only ever buy from Forever 21! 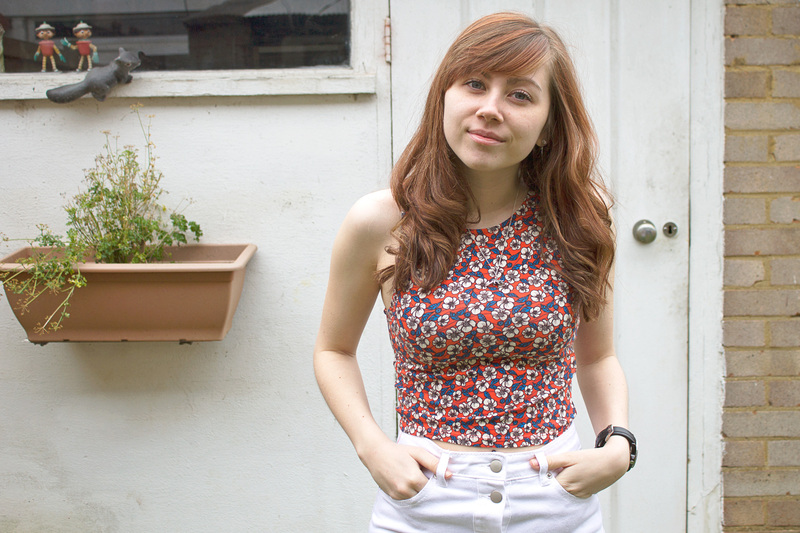 Well, I managed to pick up another cute patterned top recently and it’s something I wouldn’t normally go for! This is the only orange item in my wardrobe but the floral print was really standing out to me. It also goes perfectly with the skirt I bought which is always a bonus. Yet again £6 for a top, can you really complain? No, no you can’t! Surprise surprise, another Elephant item! I found this beauty online for only £10, I seriously can’t believe how great Forever 21’s prices are! I love how simple this dress is and the fact that I could wear it differently depending on the season. I’m thinking in the colder months I’ll pop a black long sleeve underneath, see I’m already thinking ahead! 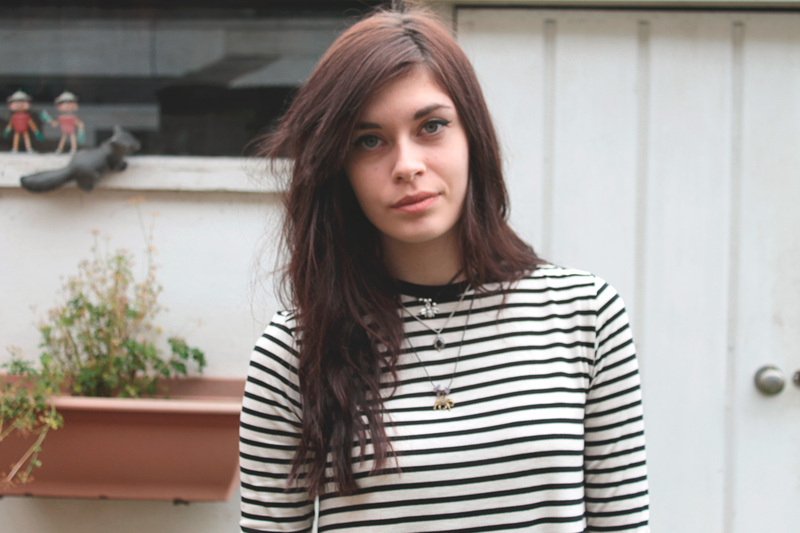 I’m a huge fan of striped tops and I’ve been looking for a reasonably priced striped dress for ages. This dress is perfect since it isn’t too tight or too baggy; you can make it look smart or casual and I love that about an outfit. 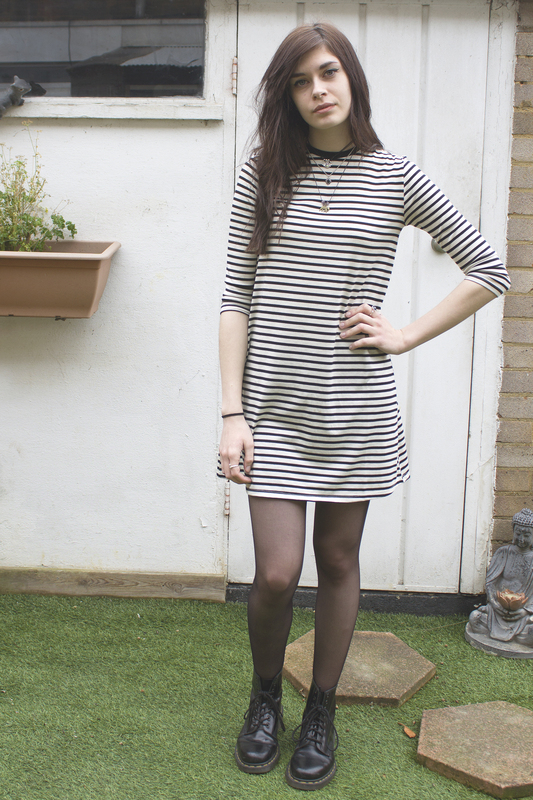 It’s such a simple dress but I styled it with some thin tights and black Dr Martens. It’s nice because it still means I’m wearing monochrome colours in Spring, but it looks a little brighter than what I usually wear! I mentioned this top in our last favourites post. I bought it at the end of February so it might not be on sale now but I wanted to show you what it looks like on! 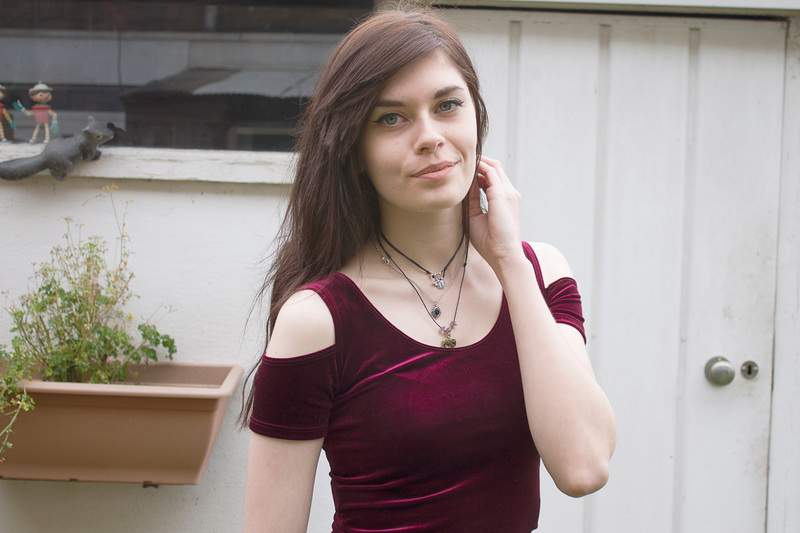 It’s a soft velvet material and the colour is beautiful! It’s probably not what everyone would pick for Spring but I still love it! It is quite tight fitting though, which is odd as it is a size bigger than I usually am (sort it out Urban Outfitters!) so I’m not sure how much wear I’ll actually get out of it. For £8 (plus my student discount!!) I couldn’t not buy it though and can you blame me? 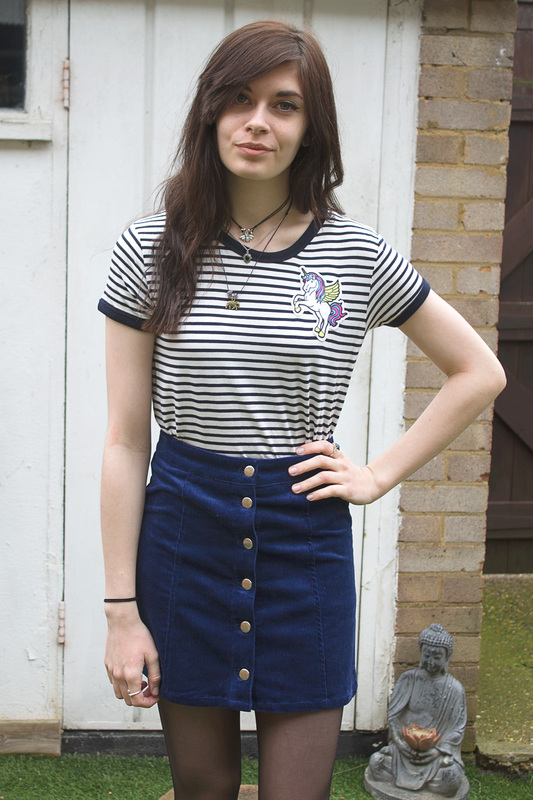 One of my favourite items I’ve bought lately is this unicorn t-shirt (I’m wearing it as I type!). I told you guys I love stripes and the unicorn makes the perfect touch, who doesn’t love unicorns? 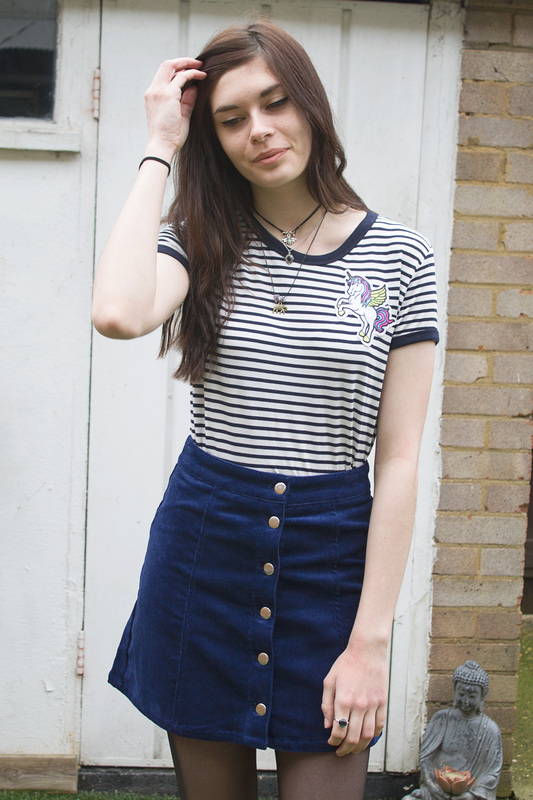 It’s a slightly thin but really comfy material and the navy stripes go perfect with this blue skirt! I’m obsessed with buying skirts lately and this blue cord one really caught my eye. I tried it on with the unicorn top and just had to buy them both since they look so good together! It’s a beautiful dark blue colour but at least I’m adding some colour to my wardrobe right? Have you picked up any nice bits for Spring yet? We’re looking forward to wearing all of this out and styling it in different ways! « Easter Nest Surprise Cakes! You guys have such great style. 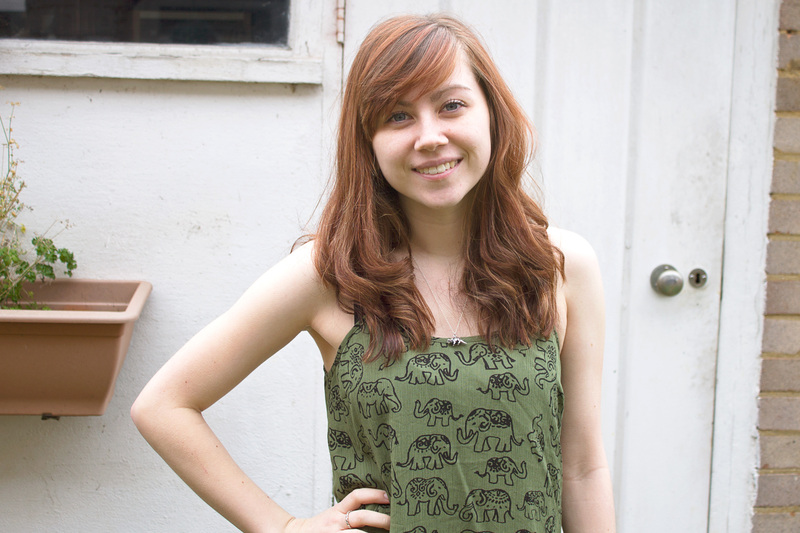 Loving the elephant dress and the Unicorn tee. I wanna go shopping now. Love everything! I am thinking about starting to blog about fashion, but i have not much clue on how to write about it, or take good pictures! 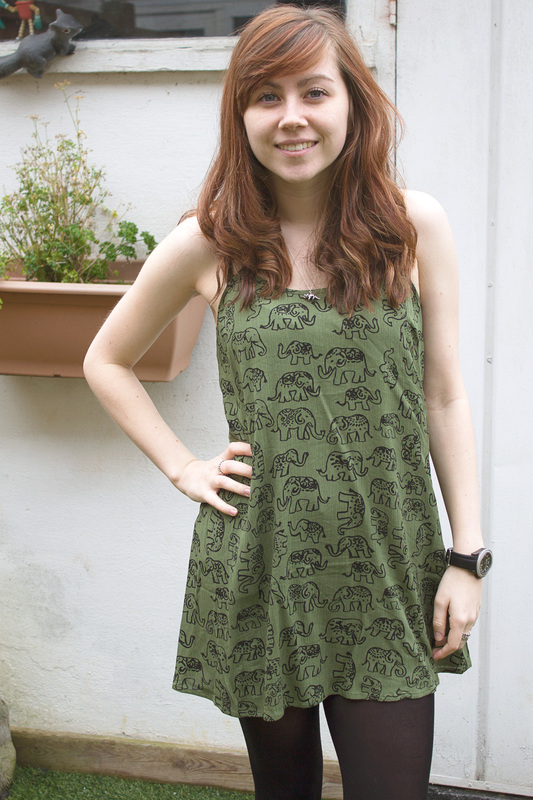 Great post 🙂 I LOVE the elephant dress! 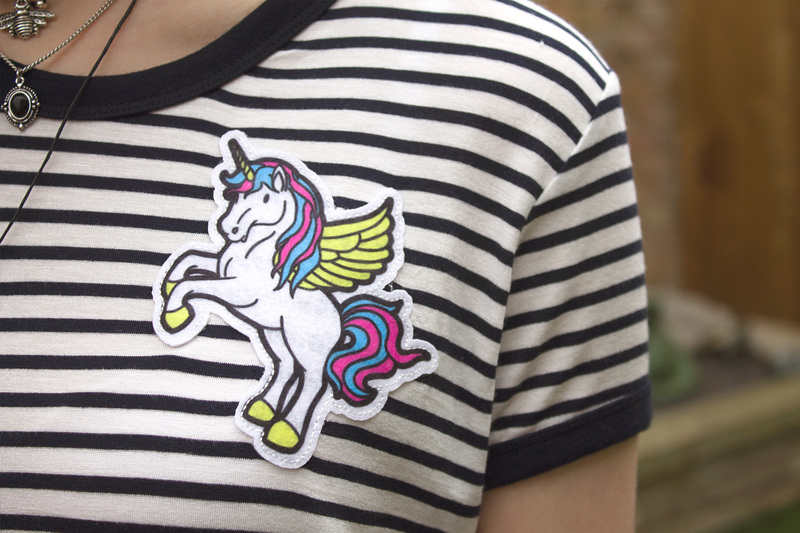 & the striped unicorn t-shirt is awesome; that unicorn is so pretty. How do you both manage to look SO awesome?!! Loving all the elephant stuff. I’ve never been into F21, but I didn’t expect it to be so affordable.